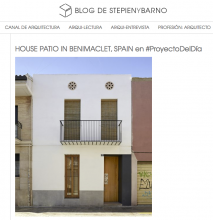 Residencial Building Renovated in El Cabanyal, Valencia. 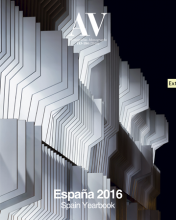 David Estal & Arturo Sanz Architects. 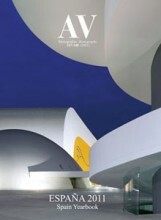 April 2019. Batlle House in Moncada. 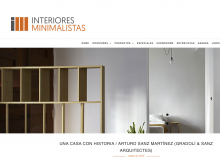 Arturo Sanz Architect. March 2019. Residencial Building Renovated in El Cabanyal, Valencia. 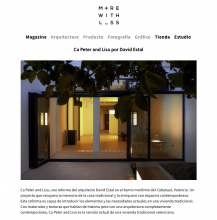 David Estal & Arturo Sanz Architects. March 2019. Paula’s Home, Castellón. Spain. 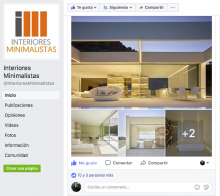 Sánchez y Delgado Interior Design. February 2019. Wastewatwerplan In San Claudio, Oviedo. Spain. Padilla Nicás Architects. January 2019. Apartament in Gran Vía, Valencia. Spain. 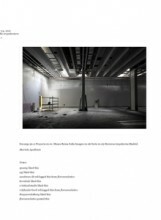 Quadrat Studio. January 2019. 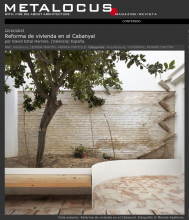 Carmen’s House in Denia. 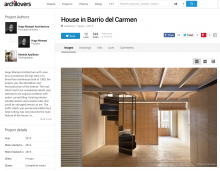 Carles Faus Architects. November 2018. 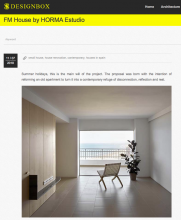 FM House in Cullera, Spain. Horma Estudio. November 2018. El Teide Restaurant in Sagunto Port, Spain. Horma Estudio. November 2018. 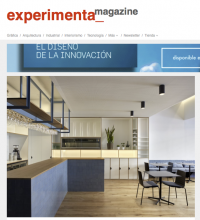 Interview in Arquitectura y Empresa. November 2018. 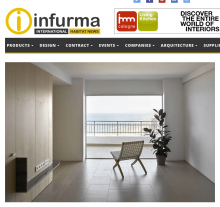 FM House in Cullera, Spain. Horma Estudio. October 2018. Apartment in Russafa, Spain. Dg Architectos. October 2018. Mariela Apollonio. Womans Photographers in Sapin. October 2018. Womans Photographers in Sapin. October 2018. Renovating Gómez del Collado in Cangas, Spain. [baragaño] Architects. September 2018. FM House in Cullera, Spain. 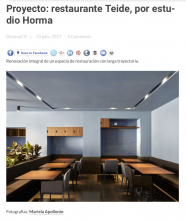 Horma Estudio. July 2018. 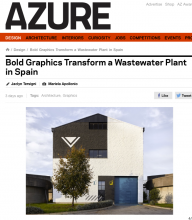 Wastewaterplant in San Claudio, Oviedo, Spain. Padilla Nicás Architects. June 2018. 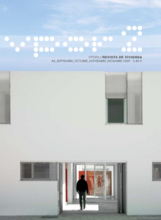 Estudio monográfico del Palacio de Ayora. 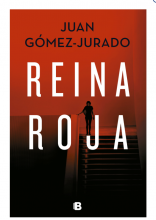 Junio 2018. 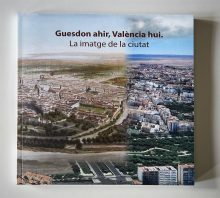 Catálogo de la Exposición Guesdon ayer, Valencia hoy. La imagen de la ciudad. 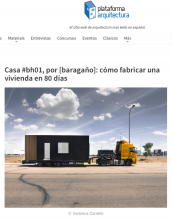 Junio 2018.
bhome in Asturias, Spain. 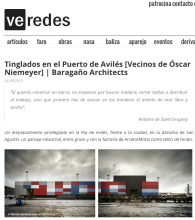 [baragaño] Architects. Mayo 2018. 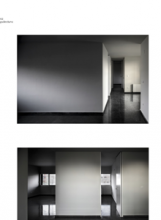 Minimalist Apartament in Valencia, Spain. 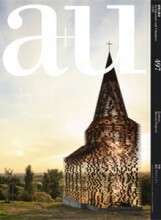 Dg architects. 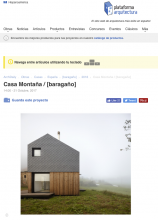 February 2018.
bhome in Asturias, Spain. 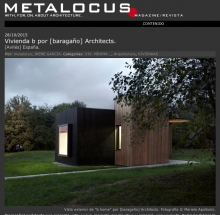 [baragaño] Architects. February 2018. Old Train Station, Burgos, Spain. 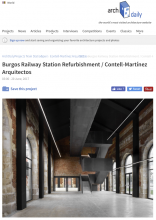 Contell Martínez Architects. March 2018. Apartament in The Eixample Valencia, Spain. 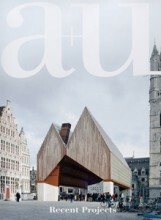 Dg architects. February 2018. 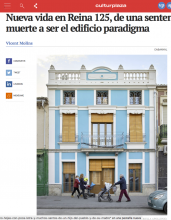 El Levante Newspaper. Home in the Orchard Valencia, Spain. Ramón Esteve Estudio. January 2018. 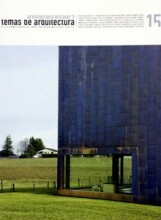 Wastewater Plant in San Claudio, Asturias, Spain. Padilla Nicás Architects. January 2018. Apartament in The Eixample Valencia, Spain. 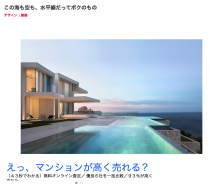 Dg architects. December 2017. 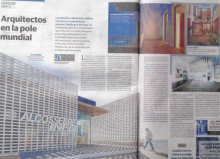 El Levante Newspaper. Apartament in The Eixample Valencia, Spain. 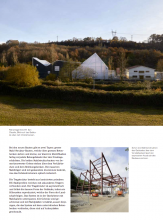 Dg architects. December 2017. 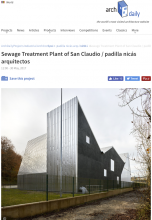 Wastewaterplant in San Claudio, Oviedo, Spain. 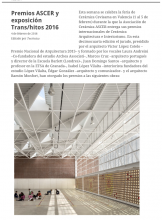 Padilla Nicás Architects. November 2017. Apartament in The Eixample Valencia, Spain. 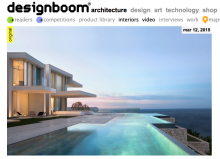 Dg architects. November 2017. Trantition Crasas Graden IVAM Valencia, Spain. 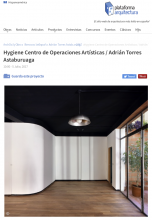 Adrián Torres Astaburuaga Architect. 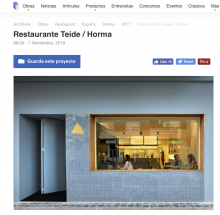 November 2017.
bhome System in Asturias, Spain. 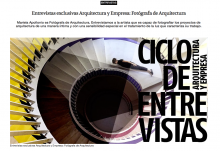 [baragaño] Architects. November 2017. Trantition Crasas Graden IVAM Valencia, Spain. 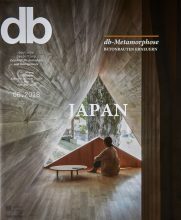 Adrián Torres Astaburuaga Architect. October 2017. Cottage in the Vineyard, Valencia, Spain. Ramón Esteve Estudio. October 2017. La Cantera House, Valencia, Spain. Ramón Esteve Estudio. October 2017. El Teide Restaurant, Sagunto, Spain. Horma Estudio. October 2017.
bhome in Asturias, Spain. 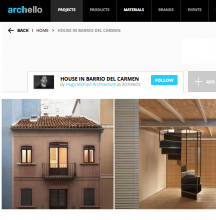 [baragaño] Architects. October 2017. The Art Circle. Directors. 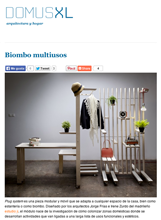 XL Semanal Magazine with the newspaper Las Provincias. October 2017. Cottage in the Vineyard, Valencia, Spain. Ramón Esteve Estudio. September 2017. Old Train Station, Burgos, Spain. 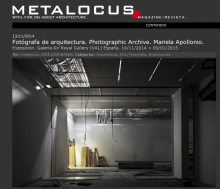 Contell Martínez Architects. September 2017. El Teide Restaurant in Sagunto Port, Spain. 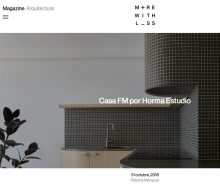 Horma Estudio Architects. July 2017. Cottage in the Vineyard, Spain. Ramón Esteve Estudio. 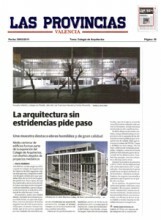 Newspaper Levante. September 2017. 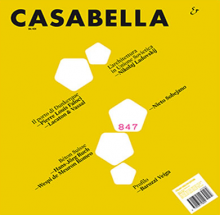 Ca nº 63. Old Train Station, Burgos, Spain. 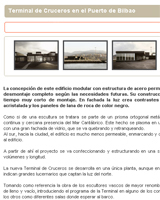 Contell Martínez Architects. July 2017. Cottage in the Vineyard, Spain. Ramón Esteve Estudio. September 2017. Water Supply in Pontevedra, Spain. 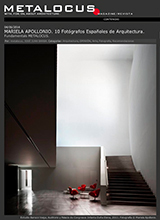 Padilla Nicás Architects. September 2017. Art Space in Valencia, Spain. 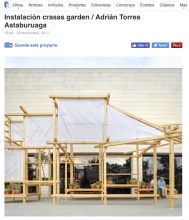 Adrián Torres Astaburuaga Architect. July 2017. 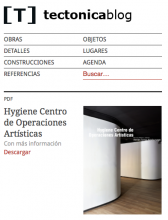 Hygiene Art Space in Valencia, Spain. 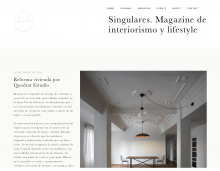 Adrián Torres Astaburuaga Architect. July 2017. Old Train Station, Burgos, Spain. 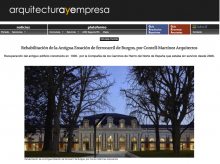 Contell Martínez Architects. July 2017. El Teide Restaurant in Sagunto Port, Spain. 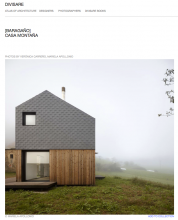 Horma Estudio Architects. June 2017. 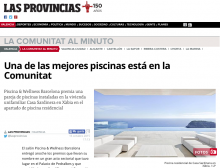 El Levante Newspaper. Art Space in Valencia, Spain. 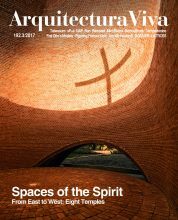 Adrián Torres Astaburuaga Architect. June 2017. Old Train Station, Burgos, Spain. 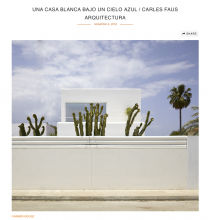 Contell Martínez Architects. June 2017. 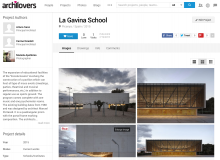 Escola Gavina Shool in Picanya, Spain for the Book Materials+Finishes of Detail Group. Gradolí & Sanz Architects. June 2017. 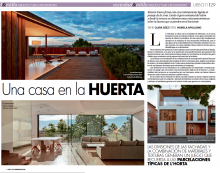 El Levante Newspaper. 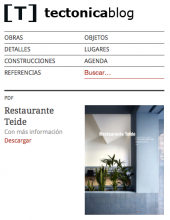 El Teide Restaurant in Sagunto Port, Spain. 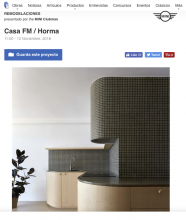 Horma Estudio Architects. June 2017. Old Train Station, Burgos, Spain. 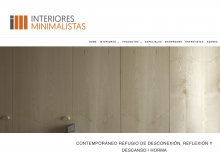 Contell Martínez Architects. May 2017. Wastewater Plant in Oviedo, Spain. 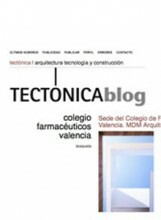 Padilla Nicás Architects. May 2017. Wastewaterplant in Villapérez, Oviedo, Spain. Padilla Nicás Architects. May 2017. Wastewaterplant in San Claudio, Oviedo, Spain. Padilla Nicás Architects. May 2017. CIBA Center University of Burgos, Spain. 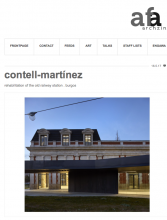 Contell Martínez Architects. May 2017. Escola Gavina, Picanya, Spain. Sanz & Gradolí Arquitects. April 2017. Market Hall and Civic Center, Torrent, Spain. Vázquez Consuegra Arquitectos. April 2017. 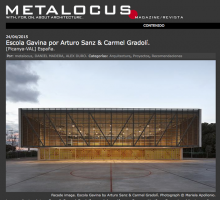 Arcelormittal I+D Center, Oviedo, Spain. Baragaño Arquitectos. April 2017. Water Supply in Pontevedra, Spain. Padilla Nicás Architects. April 2017. Wastewaterplant in Villapérez, Oviedo, Spain. 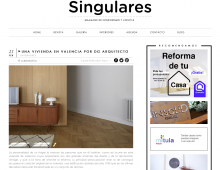 Padilla Nicás Architects. March 2017. Wastewater Plant in Oviedo, Spain. 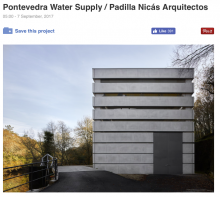 Padilla Nicás Architects. March 2017. 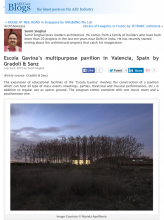 Escola Gavina in Valencia, Spain. 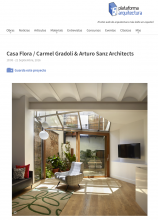 Gradolí & Sanz Architects. March 2017. Escola Gavina, Picanya, Valencia, Spain. Gradolí & Sanz Architects. February 2017. House in L’ Horta Nord. 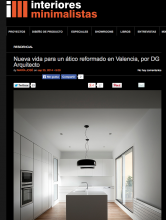 DG Arquitecto Valencia. March 2017. 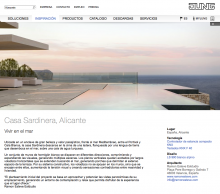 Sardinera House in Alicante, Spain. 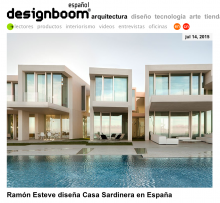 Ramón Esteve Architects. February 2017. 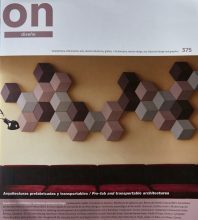 Sanz & Gradolí, DG Aquitectos, Ramón Esteve. 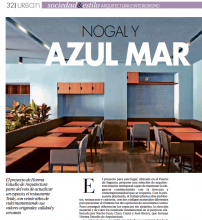 A press review from Paco Ballester in the Daily Newspaper Las Provincias. February 2017. House in L’ Horta Nord, Spain. 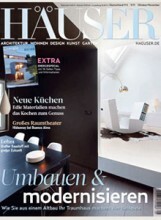 DG Architects. 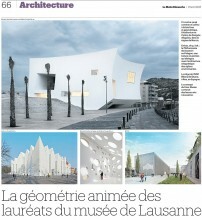 Daily Newspaper Levante. January 2017. House in L’ Horta Nord, Spain. 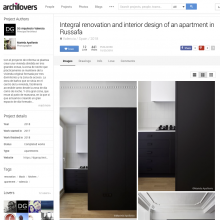 DG Architects. January 2017. House in El Cabanyal, Spain. 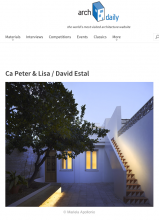 David Estal Architect. January 2017. 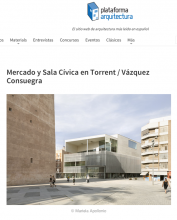 Torrent Market,Spain. 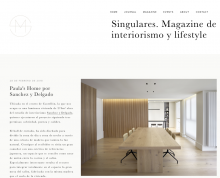 Vázquez Consuegra Architects. December 2016. 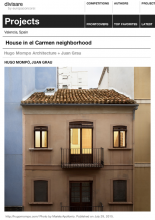 House in L’ Horta Nord, Spain. 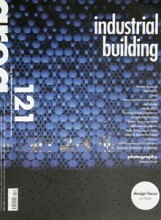 DG Architects. December 2016. Ecola Gavina, Spain. Gradolí Sanz Architects. November 2016. Cultural Center El Musical, Spain. 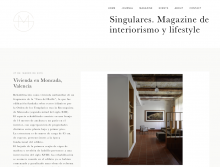 Eduardo de Miguel Architect. November 2016. Flora House Patio in Benimaclet, Spain. 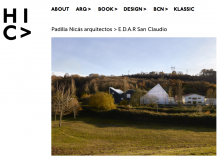 Sanz & Gradolí Architects. August 2016. 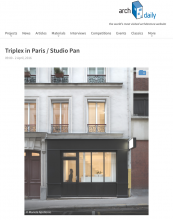 Triplex in Paris, France. Studio Pan. July 2016. Intervention in Grao Cementery Valencia, Spain. 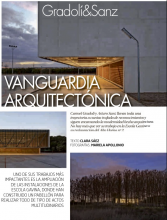 Inés García Clariana Architect. August 2016. Ricart House Patio in Benimaclet, Spain. 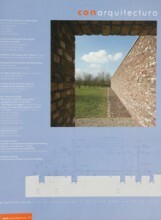 Sanz & Gradolí Architects. May 2016. Ricart House Patio in Benimaclet, Spain. 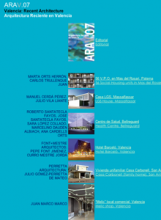 Sanz & Gradolí Architects. July 2016. Apartment in Altea, Spain. 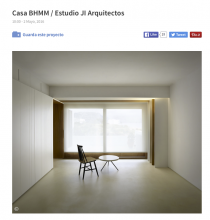 Estudio Ji Architects. May 2016. 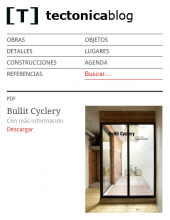 Bullit Cyclery, Spain. 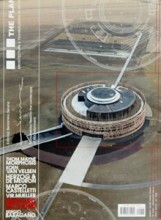 Hugo Mompó Architecture. May 2016. Ricart House Patio in Benimaclet, Spain. 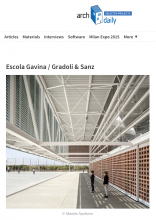 Sanz & Gradolí Architects. June 2016. Apartment in Altea, Spain. 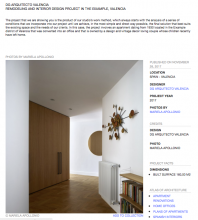 Estudio Ji Architects. April 2016. 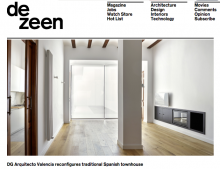 ‘Vanguardia Arquitectónica’ Article About Sanz & Gradolí Office in Urban Magazine. June 2016. Triplex in Paris, France. Studio Pan. April 2016. 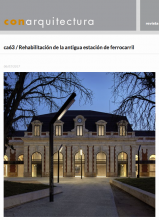 Integral rehabilitation, Spain. 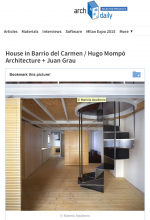 DG Arquitectos. March 2016. Escola Gavina Picanya, Spain. 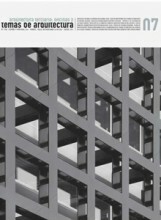 Gradolí & Sanz Architects. January 2016. Language School University of Valencia. 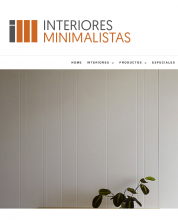 Studio Arkítera. March 2016. Triplex in Paris, France. Studio Pan. March 2016. 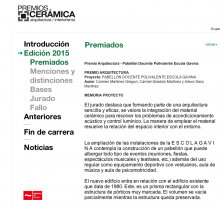 First Prize ASCER Ceramics Escola Gavina. 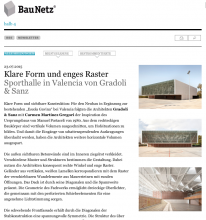 Gradolí & Sanz Architects. February 2016. 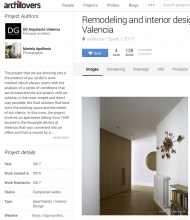 Apartment in El Carmen Valencia, Spain. 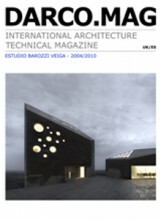 Hugo Mompó Architecture. January 2016. 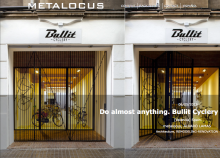 Bullit Cycles Valencia, Spain. Hugo Mompó Architect. January 2016. Escola Gavina Picanya, Spain. 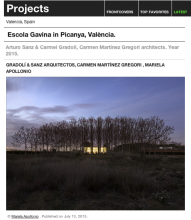 Gradolí & Sanz Architects. December 2015. 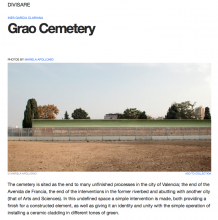 Intervention in Grao Cementery Valencia, Spain. 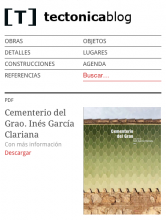 Inés García Clariana Architect. January 2016. Public Market Torrent, Spain. 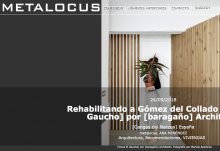 Guillermo Vázquez Consuegra Architects. December 2015. Bullit Cyclery Valencia, Spain. Hugo Mompó Architect. December 2015. 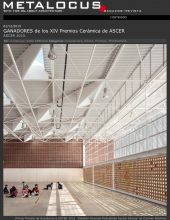 First Prize ASCER Ceramics Escola Gavina. 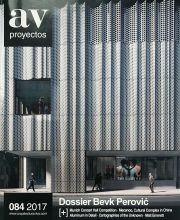 Gradolí & Sanz Architects. December 2015. Casa Peter y Lisa Cabanyal, Spain. David Estal. November 2015. 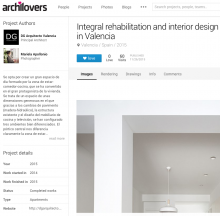 Integral rehabilitation, Spain. 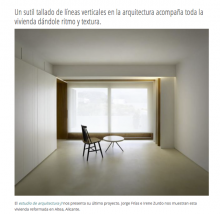 DG Arquitectos. November 2015.
b home System Avilés, Spain. [baragaño] Architects. November 2015. House in El Cabanyal, Spain. 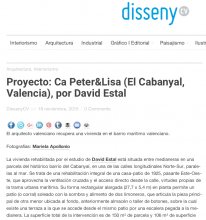 David Estal Architect, L’Ambaixada. November 2015. Apartment in El Carmen Valencia, Spain. 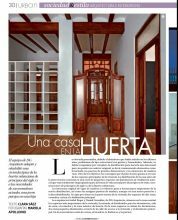 Hugo Mompó Architecture. November 2015. 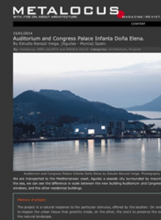 Auditorium and Congress Palace Aguilas. 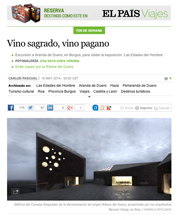 Ribera del Duero Headquarters Spain. 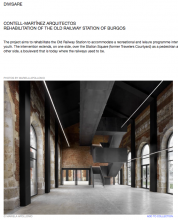 Barozzi Veiga Architects. March 2015. House in El Cabanyal, Spain. David Estal Architect, L’Ambaixada. October 2015. 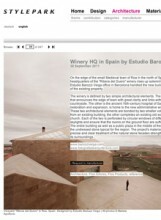 Ribera del Duero Headquarters, Spain. Barozzi Veiga Architects. September 2015. Sardinera House, Javea Spain. Estudio Ramón Esteve. October 2015. 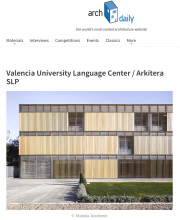 Language School University of Valencia. 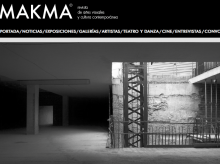 Studio Arkitera. 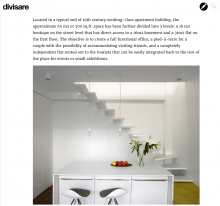 Salvador Lara Architect. September 2015. 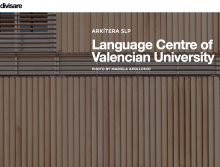 Language Centre Of Valencian University. Salvador Lara Ortega. 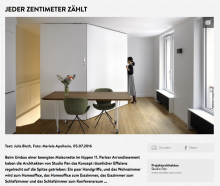 Arkitera Studio. September 2015. 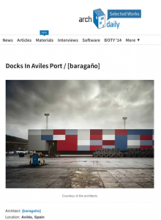 Docks in Aviles Port, Spain. [baragaño]. September 2015. Apartment in El Carmen Valencia, Spain. 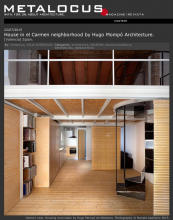 Hugo Mompó Architecture. August 2015. Escola Gavina València, Spain. Arturo Sanz & Carmel Gradolí. July 2015. 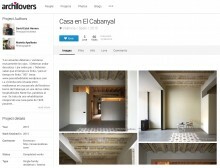 Apartment in El Carmen Valencia, Spain. 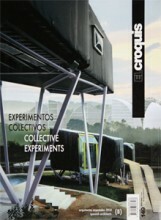 Hugo Mompó Architecture. July 2015. Sardinera House, Javea Spain. Estudio Ramón Esteve. July 2015. Sardinera House, Javea Spain. Estudio Ramón Esteve. April 2015. 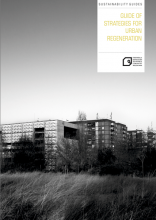 Guide Strategies for Urban Regeneration. 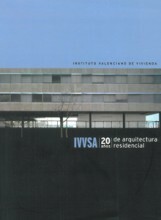 Instituto Valenciano de la Edificación. April 2015. 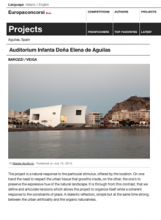 Auditorium and Congress Palace Aguilas, Spain. Barozzi Veiga Architects. April 2015. Escola Gavina València, Spain. Arturo Sanz & Carmel Gradolí. April 2015. 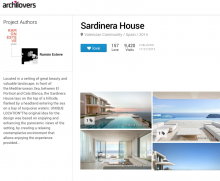 Sardinera House, Javea Spain. Estudio Ramón Esteve. March 2015. 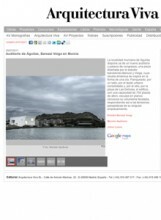 Photographic Archive, Valencia, Spain. Solo Exhibition. November 2014. 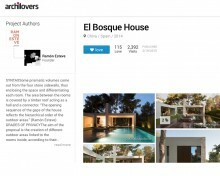 El Bosque House, Chiva Spain. Estudio Ramón Esteve. March 2015. Sardinera House, Javea Spain. 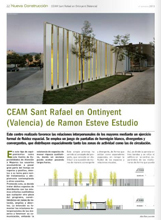 Estudio Ramón Esteve. February 2015. 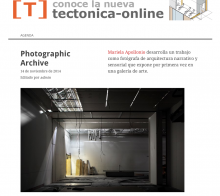 Photographic Archive, Valencia, Spain. 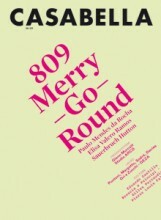 Solo Exhibition. December 2014. El Bosque House, Chiva Spain. 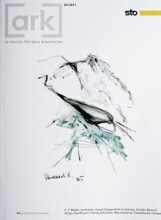 Estudio Ramón Esteve. February 2015. The Art Circle. Text Mara Corradi. August 2014. 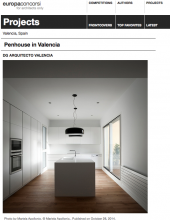 Penthouse in Valencia, Spain. 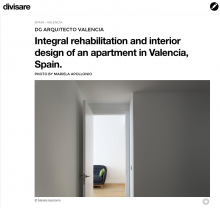 DG Architects. September 2014. Espai Rambleta, Spain. Gradolí&Sanz Architects. 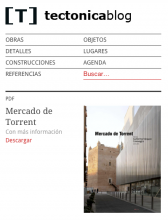 Text Helena de las Heras Esteban. Jule 2014. 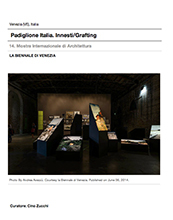 Biennale di Venezia. Auditorium and Congress Palace Aguilas, Spain. 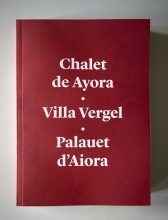 Barozzi Veiga. 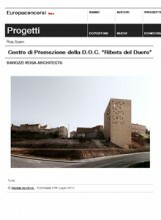 & Museo di Pitagora Crotone, Italy. 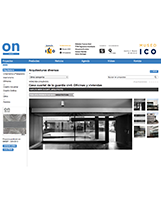 OBR Architecs. June 2014. 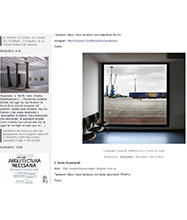 10 Fundamental Photographers.On site. 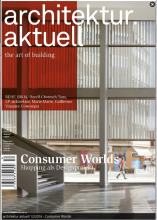 Architecture.June 2014. 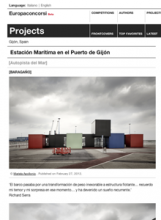 Maritime Station Gijon Port, Spain. 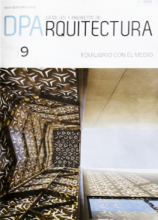 [baragaño] Architects. March 2014. Ribera del Duero Headquarters, Spain. Barozzi Veiga Architects. May 2014. 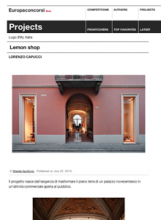 Lemon Store Lugo, Italy. 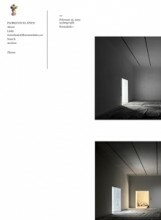 Studio Capucci Architects. April 2014. Sant Rafael CEAM Nursing Center, Spain. 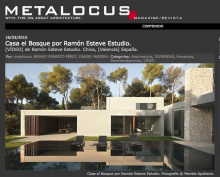 Ramón Esteve Studio. October 2013. 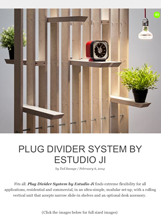 Plug Divider System, Spain. 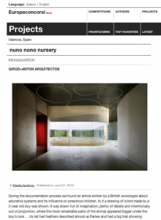 Estudio Ji Architects. February 2014. Auditorium and Congress Palace Aguilas, Spain. Barozzi Veiga Architects. July 2013. Auditorium and Congress Palace Aguilas, Spain. Barozzi Veiga Architects. 2013. 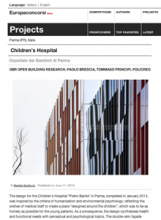 Children’s Hospital Parma. 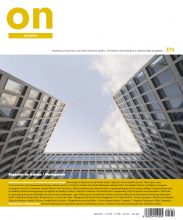 OBR Architects. June 2013. Sant Rafael CEAM Nursing Center, Spain. 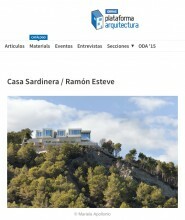 Ramón Esteve Studio. December 2012. Auditorium and Congress Palace Aguilas, Spain. 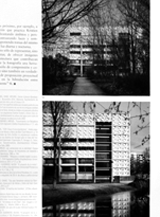 Barozzi Veiga Magazine. January 2014. Ribera del Duero Headquarters, Spain. Barozzi Veiga Architects. January 2014. Civil Guard Headquarters Moncada, Spain. 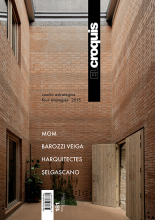 Carlos Meri Cucart Architect. June 2012. 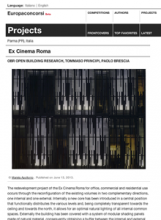 Ex Cinema Roma Parma. 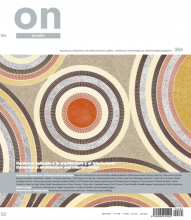 OBR Acrchitects. June 2013. Prescholl Nuno Nono Valencia, Spain. 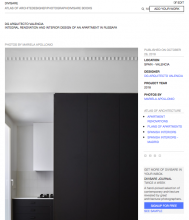 Girod+Anton Architects. April 2012. Ribera del Duero Headquarters, Spain. 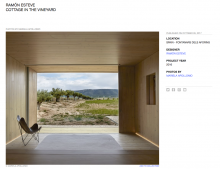 Barozzi Veiga Architects. February 2012. Museo di Pitagora Crotone, Italy. 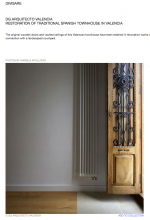 OBR Architects. January 2014. 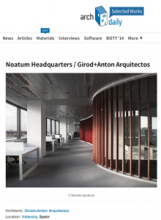 Noatum Headquarters Valencia, Spain. 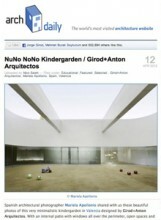 Girod+Anton Architects. July 2012. Housing London. 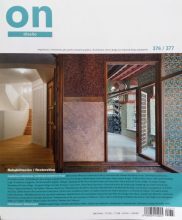 OBR Architects. June 2013. Lemon Shop. 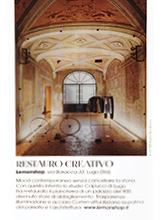 Studio Capucci. July 2013. 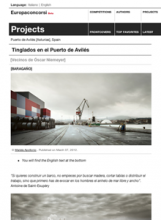 Docks in Aviles Port, Spain. [baragaño]. 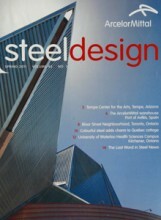 March 2012. Metal Fundation Aviles, Spain. [baragaño]. May 2012. Maritime Station in Gijon Port, Spain. [baragaño]. February 2012. 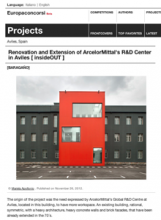 R+D Arcelormittal Center Aviles, Spain. 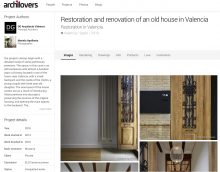 Renovation.[baragaño]. October 2012. Reina Sofia Museum under construction II, Herreros Architects. February 2012. Museo di Pitagora Crotone, Italy. 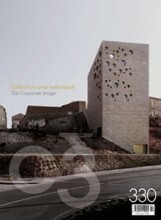 OBR Architects. January 2012. Prescholl Nuno Nono Valencia, Spain. 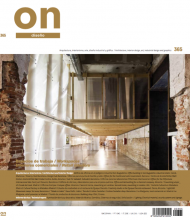 Girod+Anton Architects. 2012. 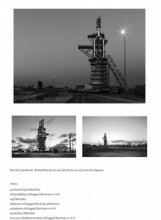 Arcelormittal Metal Fundation Aviles, Spain. [baragaño]. May 2012. 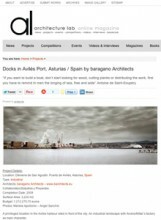 Docks in Aviles Port, Spain. [baragaño]. February 2011. Civil Guard Headquarters Moncada, Spain. 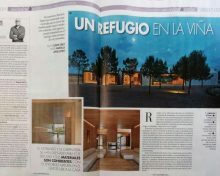 Carlos Meri Cucart Architect. Febrary 2012. 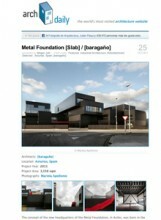 Arcelormittal Metal Fundation Aviles, Spain. [baragaño]. October 2011. Ribera del Duero Headquarters, Spain. Barozzi Veiga Architects. July 2011. Cruising Terminal in Bilbao Port, Spain. [baragaño]. October 2011. Auditorium and Congress Palace Aguilas, Spain. 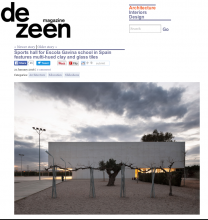 Barozzi Veiga Architects. July 2011. Auditorium and Congress Palace Aguilas, Spain. Barozzi Veiga Architects. April 2011. 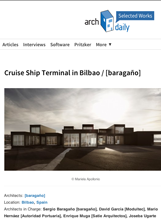 Cruising Terminal in Bilbao Port, Spain. [baragaño]. March 2011. 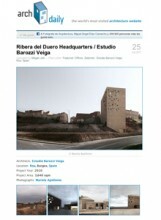 Ribera del Duero Headquarters, Spain. Barozzi Veiga Architects. September 2011. Ribera del Duero Headquarters, Spain. Barozzi Veiga Architects. March 2011. 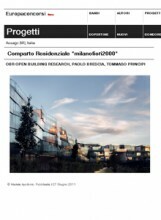 Milanofiori Housing Complex Milan, Italy. 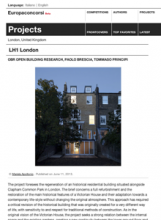 OBR Architects. July 2011. Museo di Pitagora Crotone. 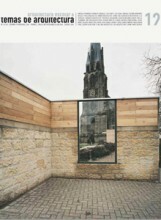 OBR Architects. Juli 2011. 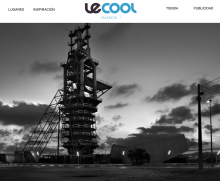 Blace Furnace Sagunto, Spain. 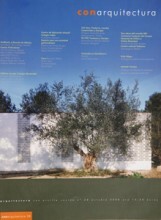 Gradolí & Sanz Architects. November 2011. Reina Sofia Museum under construction, Herreros Architects. November 2011. Pinedo Primary School. 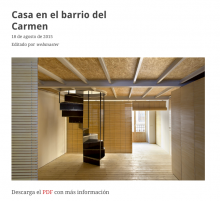 Luis Francisco Herrero, Carlos Ferrandis Architects. July 2011. Metal Fundation Aviles, Spain. [baragaño]. April 2011. Pinedo Primary School. 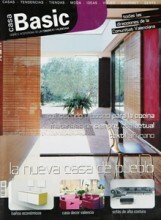 Tato Herrero, Carlos Ferrandis Architects. April 2010. 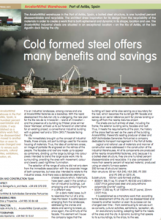 Arcelormittal Metal Fundation Aviles, Spain. [baragaño]. December 2011. Auditorium and Congress Palace Aguilas, Spain. Barozzi Veiga Architects. April 2010. College of Pharmacy Valencia, Spain. 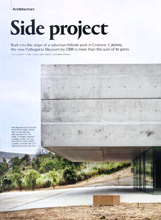 Carlos Meri Cucart, MDM Architects. July 2010. 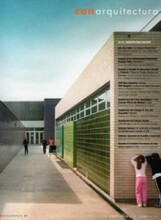 Primary School Castellon. 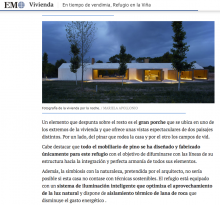 Ricardo Meri de la Maza Architect. March 2011. Cabanyal Portes Obertes XI. 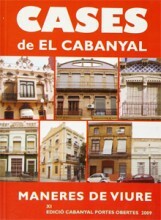 Houses of Cabanyal. November 2009. Subsidised Housing Valencia, Spain. 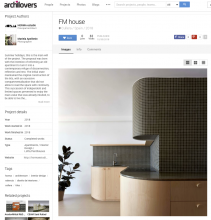 MDM Architects. July 2009. Subsidised Housing Valencia, Spain. 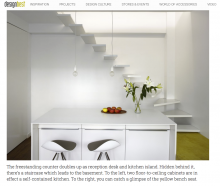 MDM Architects. December 2009. Torrent Metro Station, Spain. Vicente González Móstoles Architect. July 2008. Xativa House, Spain. 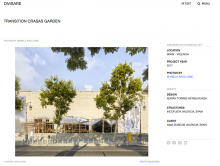 Sanz Gradolí Architects. 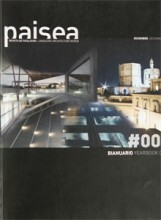 October 2008. Almoina Square Valencia, Spain. December 2008. Chamber of Commerce Valencia, Spain. 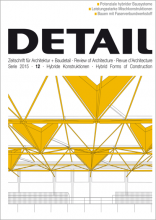 MDM Architects. July 2008.